Filing bankruptcy is an emotional event. Many people who file bankruptcy feel shame and a sense of failure. 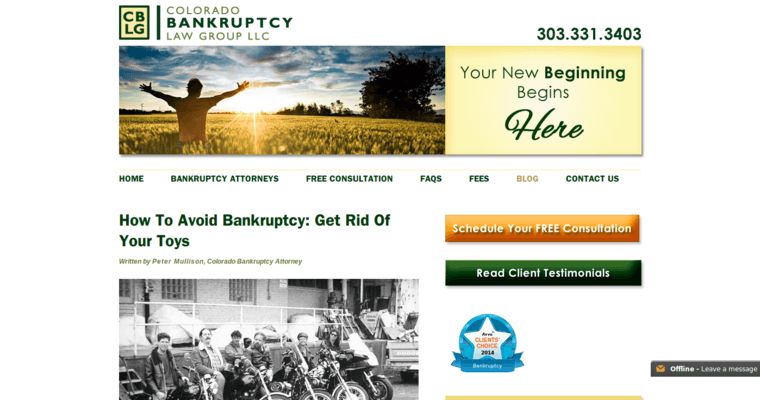 But bankruptcy is simply a legal maneuver to help you regain your financial footing. To get the best results, you need an experienced attorney working on your case. 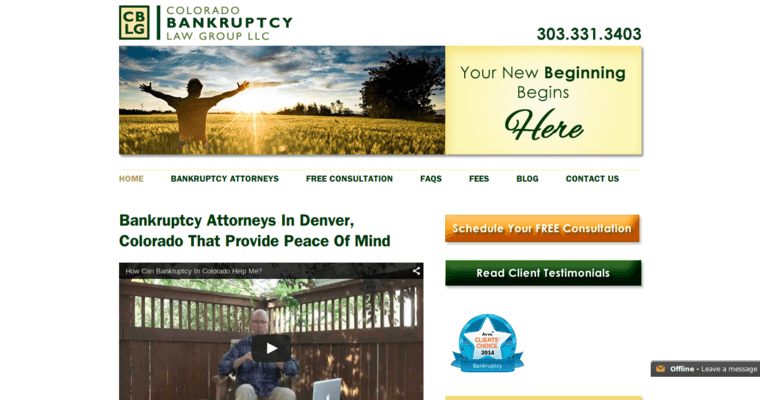 At Colorado Bankruptcy Law Group LLC you will work with attorneys with extensive experience in bankruptcy cases, and you won't have to feel like you are being judged for your financial situation. Whether you need to liquidate your assets and get a fresh start using a Chapter 7 bankruptcy filing or you just need to reorganize your finances using the Chapter 13 process, Colorado Bankruptcy Law Group LLC can help. 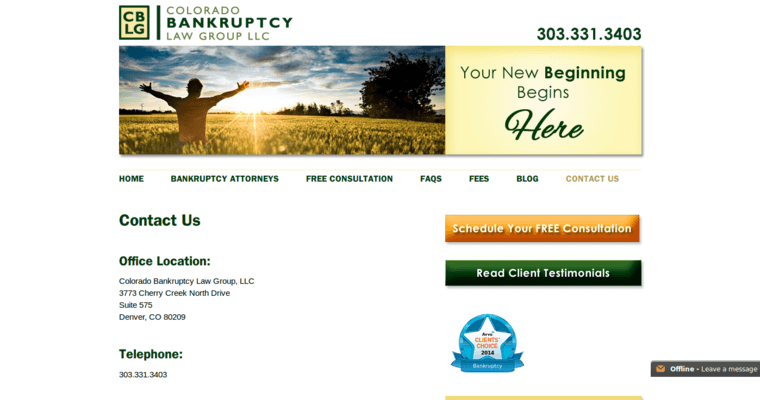 Call Colorado Bankruptcy Law Group LLC today to set up a free, confidential initial consultation to discuss your options.